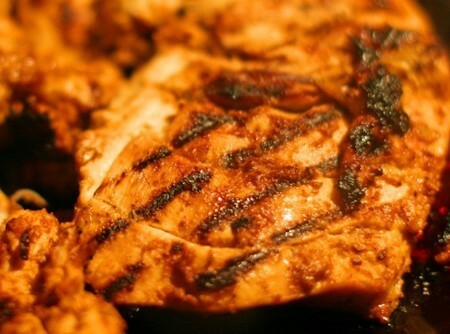 This simple Chicken Tandoori Recipe is one of my favorite recipes on the website. That maybe because I love Indian food, I don't know, but i'll tell you now, Tandoori chicken recipes don't get much better than this. Another great Chicken Tandoori Recipe can be found on a great little website called All-about-India.com check it out if you have chance. They have got loads of fantastic Indian Chicken recipes. And that brings me nicely to my next topic. Your Recipes. If you've got a recipe that you think is worthy of inclusion on our famous website then just let us know. Just follow this link and send us the details. First of all we need to marinade the chicken pieces. Find a large bowl and add the yoghurt 3/4 Cup of water, chilli powder, garam masala, chopped coriander and the cumin. Stab the chicken with a fork to make loads of holes in it and the put these pieces into the bowl of yoghurt and herbs. It needs to be covered and left now for as long as possible in the fridge. 4 Hours minumum should be ok although some people say six.